Hopper was incredible at creating a distinctive mood of place. 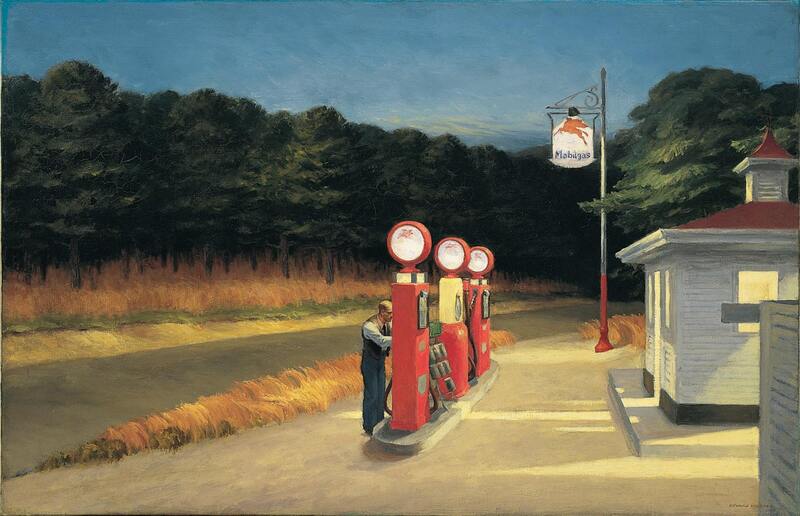 In 1940, he painted Gas, where we see a diagonal road, gas station, mass of trees, and an attendant. In this portrait of an inner life, the artist is as ubiquitous as ever, creating a familiar narrative where time stands still.